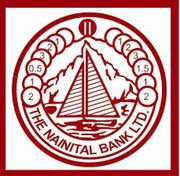 The Nainital Bank Limited intends to recruit Clerks in the Bank in the pay Scale of Rs. 11765-655/3-13730-815/3-16175-980/4-20095-1145/7-28110-2120/1-30230-1310/1-31540. Eligible candidates are advised to apply only online from July 04, 2017 to July 24,2017. The Nainital Bank Limited (NTB) (known as Nainital Bank) is a scheduled commercial bank founded in 1922. Nainital Bank was founded Govind Ballabh Pant.The bank is a subsidiary of Bank of Baroda. The bank has expanded to Uttar Pradesh and Uttarakhand, and has over 130 branches in Rajasthan, Delhi and Haryana. Candidate should have passed Graduation/Post Graduation with minimum 45% marks in either of Graduation/ Post Graduation examination in the streams of Arts/ Science/ Commerce/ Agriculture/ Management/ Others from a recognized university/ Institute. Knowledge of Computer Operations is essential. Candidates should not have been born earlier than 01.06.1990 and not later than 31.05.1999. Both dates inclusive. Apply Online at The Nainital Bank Limited website from 04.07.2017 to 24.07.2017 and no other mode of application will be accepted. For Further Details visit the Nainital Bank website and go through the Official Notification before applying for the post.